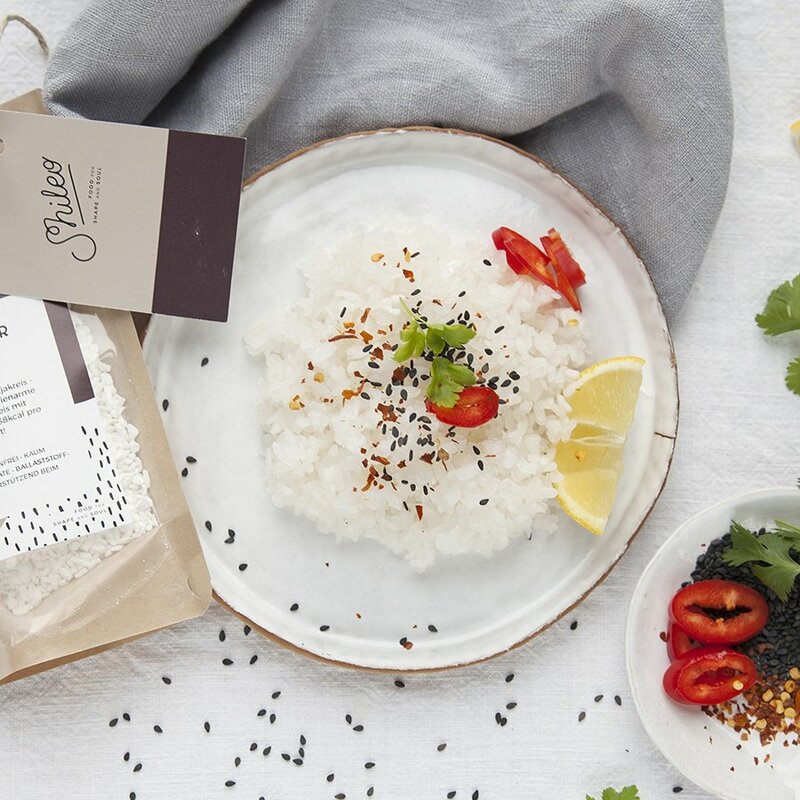 Our Shileo konjac rice is a delicious and versatile low-calorie rice alternative. It the perfect choice for a variety of recipes from risotto to paella to desserts like rice pudding, because it absorbs the flavours of the dish it is being cooked with. With less than 38kcal per 100g and barely any carbs at all, Shileo Roooaaar Rice fits perfectly everyone's diet plan. Dry weight: 70g. For the perfect consistency: Boil one rice portion (70g) with 1000ml of lightly salted water for 10 minutes. Remove from the heat and leave the rice for another 10 minutes with the lid closed until all water is absorbed. Enjoy with a delicious sauce or some sautéed vegetables.